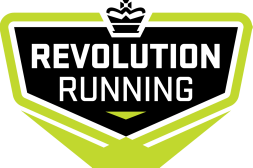 By signing the Annual membership Contract, I am agreeing to join the Revolution Running training club for a 12 month period from the date of this form submission. The term "Annual Membership" shall refer to an individuals membership of Revolution Running for the period of one year. I understand I cannot stop, exchange, terminate, transfer put on hold or otherwise change the terms of my Annual Membership without the express written permission of North Training Solutions LLC, its partners or executors. If I am paying the $499.00 fee up front in one installment and the transaction does not go through, I agree that the terms of my Annual Membership will be null and void regardless of the date my Annual Membership form was submitted. If I am paying monthly payment installments instead of paying the $499.00 fee upfront, I agree that monthly payments for my Annual Membership cannot be stopped, canceled, exchanged, transferred or terminated without the express written permission of North Training Solutions LLC, its partners or executors. At the end of the 12 month period, I understand and agree that my Annual Membership period will have ended and I will need to register again and make a new payment in order for the next 12 month Annual Membership to become effective. North Training Solutions LLC, its partners and executors reserve the right to cancel or terminate any Annual Membership for lack of payment, bounced check or canceled credit card at any time.